MAX'S High Protein Pancakes make a delicious muscle building meal in just a few minutes. Simply add water or milk, shake and cook - what could be easier! 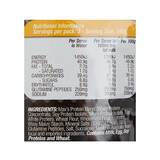 Over 40 grams of high quality muscle building protein in each serve! The perfect mass building snack at any time of day or night! 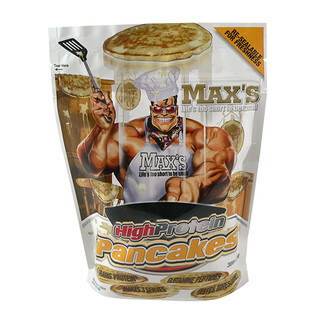 MAX'S High Protein Pancakes are the perfect snack for any serious trainer looking to put on massive slabs of muscle. Easy to prepare and and delicious, these pancakes will be your new favorite muscle building snack! 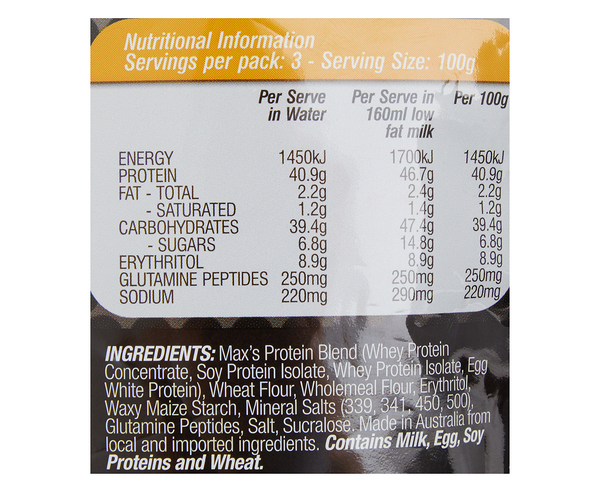 Max's Protein Blend (Whey Protein Concentrate, Soy Protein Isolate, Whey Protein Isolate, Egg White Protein), Wheat Flour, Wholemeal flour, Erythritiol, Waxy Maize Starch, Mineral Salts (339, 341, 450, 500), Glutamine peptides, Salt, Sucralose. Contains Milk, Egg, Soy, Proteins and Wheat. Add 100g to 140mL water or 160mL of low fat milk to a shaker and shake vigorously for 30 seconds. Allow to stand for 2 mnutes. Pour into a lightly greased low heat pan and cook until golden brown. Makes 4 high protein pancakes.